Plans for a petrol station at the Asda superstore in Ferring are back on the table. Arun District Council rejected a planning application for a six pump station with 12 filling positions and a drive-to-pay kiosk in May, citing the closeness of two jet washes to residential properties nearby as the main reason for refusal. But now, the supermarket has resubmitted plans to Arun, removing the jet washes – paving the way for it to be approved by the planning committee. Arun District Councillor Roger Elkins has campaigned against the petrol station on behalf of residents in his ward. However, he still had some concerns with the new application. 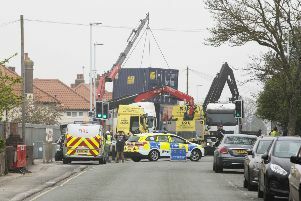 He said: “I still feel that the location at this point isn’t an ideal location, being adjacent to people’s properties. He was also concerned about the proposed opening hours of the filling station: 6am to midnight, seven days a week.